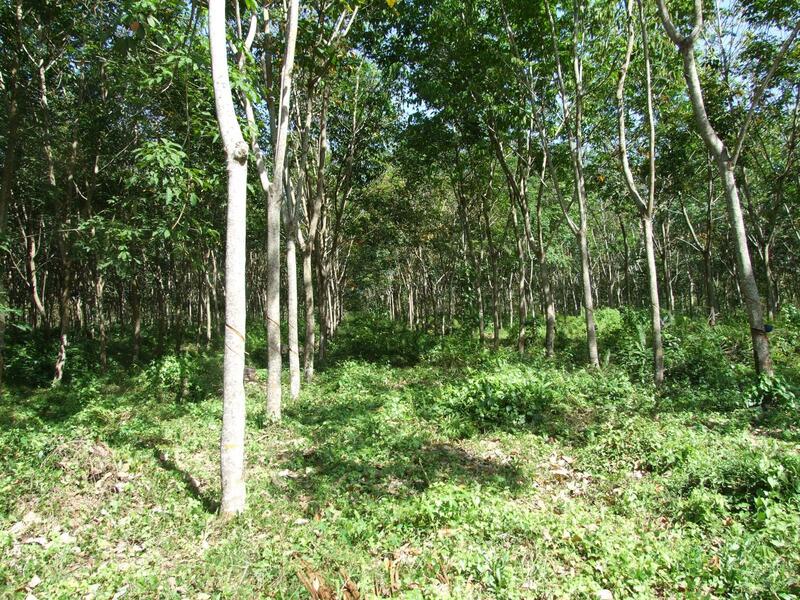 The rubber tree (Hevea brasiliensis) is a fast growing, medium to tall tree (25 m high in plantations and up to 40 m in the wild), with deep tap-roots. The trunk is smooth and straight with a grayish bark. It is known for its laticiferous system from which latex is extracted by tapping the trunk. Leaves are trifoliate, 10 to 15 cm long and 3 to 6 cm broad. Flowers are monoecious and borne in panicles with apical flowers being female and lateral ones male (Ecoport, 2009). The rubber tree starts bearing fruit at four years of age. Each fruit contains three or four seeds, which fall to the ground when the fruit ripens and splits. Each tree yields about 800 seeds (1.3 kg) twice a year. The seed consists of a thin hard shell and a kernel containing oil used in various industries. The kernel and the shell are sometimes extracted together, yielding an undecorticated oilcake or meal with a very high fibre content. There is a great difference in feeding value between decorticated and undecorticated meal. The oil can either be expressed (hot or cold) or extracted. The pressed cake contains 8-15% residual oil, whereas the extracted meal has only 2-4% (Göhl, 1982). 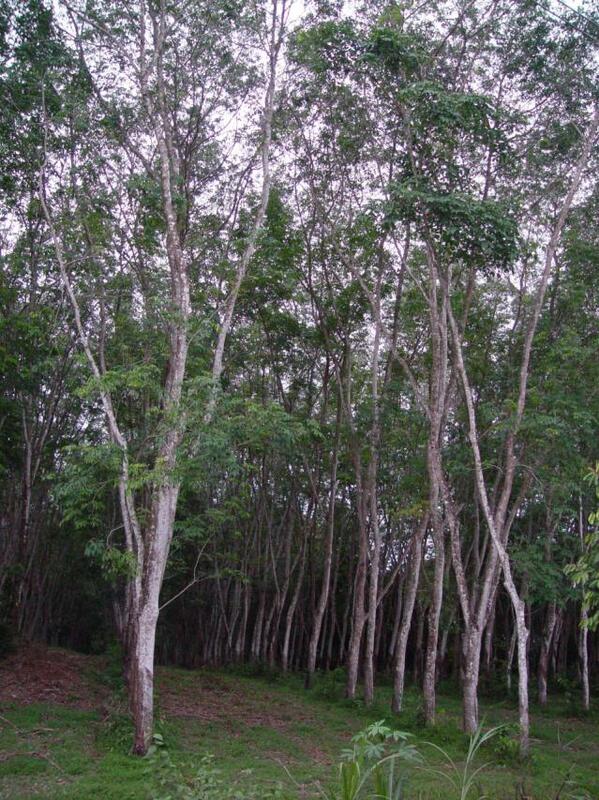 The rubber tree is native to the tropical rainforest of the Amazon basin and the Guianas (Ghani et al., 2000). 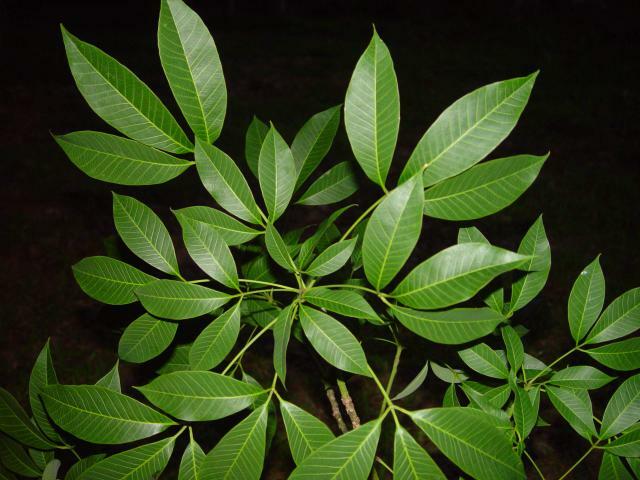 It is widespread in the northern part of South America (Bolivia, Colombia, Peru) and was introduced into South-East Asia (95% of latex production is in this region) and to Africa. 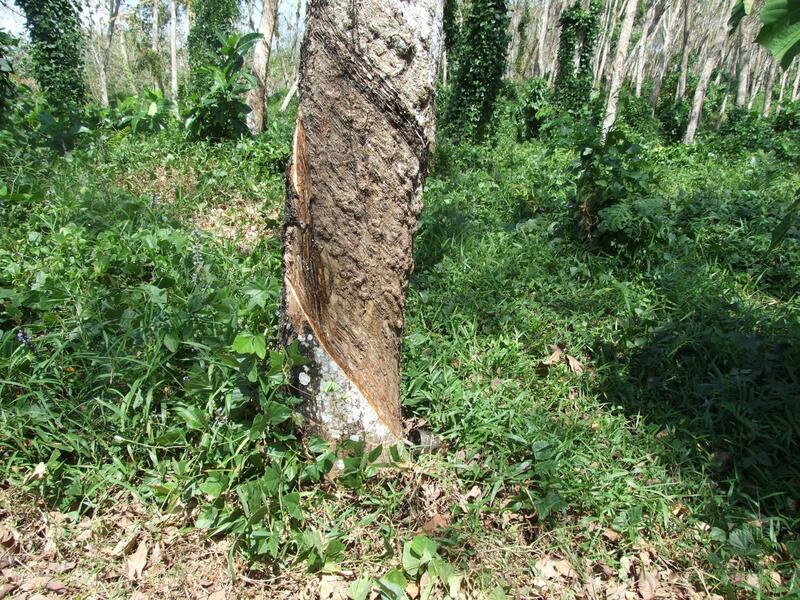 Hevea grows best between 15°N and 10°S and from sea level up to 600 m, with the optimal altitude being below 200 m (Ecocrop, 2009). It is not very tolerant to soil erosion on hillslopes nor to strong winds. It performs well with a day temperature between 26 and 28°C, and with annual rainfall ranging from 2000 to 3000 mm. It can withstand drought and waterlogging for a while, but prefers well drained soils (Ghani et al., 2000) with good moisture storage capacity. It can grow on acidic soils, volcanic soils and even peaty soils (Orwa et al., 2009). Detoxification is a prerequisite for the utilization of rubber seed products as feed ingredients. Rubber seed meal contains from 0.002% to 0.09% hydrogen cyanide (HCN), which may cause acute toxicity and death. The seed contains linamarin, a cyanogenic glucoside, and linamarase, an enzyme. They are separated inside the seed, but interact and release HCN when the seed is ground or broken (Fuller, 2004; Göhl, 1982; Rajaguru et al., 1979). The high temperature of normal processing of rubber seed meal destroys the linamarase and renders the meal harmless, as well as boiling, particularly in acid water, and long storage (for at least six months). However, undetoxified rubber seed cake must not be wetted before feeding (Göhl, 1982). In pigs, the addition of sulphur-amino acids helps to detoxify rubber seed meal by turning HCN into thiocyanate, but this compound prevents thyroid from fixing iodine and causes goitrogenic problems (Ong, 1989). In poultry, rubber seed meal was shown to contain an anti-fertility factor that resulted in decreases in sperm quality in cockerels (Ravindran et al., 1987). The oilcake is a valuable cattle feed, but its powdery nature reduces its palatability. It has been fed in amounts of 2-3 kg a day to adult cattle with good results. The oilcake is unpalatable to sheep (Göhl, 1982). Dairy cattle may be fed rubber seed meal at up to 25% of the diet (Fuller, 2004). The inclusion of rubber seed meal can be up to 20% in sheep diets and partially replaced cotton seed meal at this level (Njwe et al., 1990). 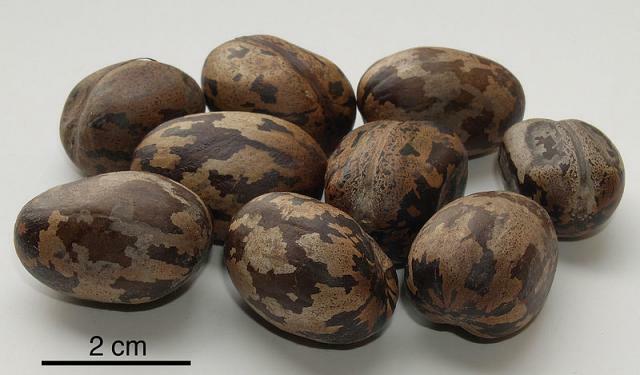 Whole rubber seeds in sheep diets should not exceed 20% (Bikoi Ntep et al., 1989). Rubber seed cake has successfully replaced up to 100% of groundnut cake in the diet of weaner pigs (Madubuike et al., 2006). Whole rubber seeds were included at 27% of diet dry matter as a replacement for rice bran (Nguyen Thi Thuy et al., 2002), at 30% as a replacement for wheat bran (Bun Tean et al., 2002), and up to 50% as a replacement for cottonseed cake. However, a 100% substitution resulted in oedema and necrotic spots on lungs and liver (Tueho, 1995). Inclusion of whole rubber seeds, ranging from 20% to 40.5% of the diet, decreased DM and OM digestibility, but did not alter nitrogen digestibility (Pok Samkol et al., 2002), and increased nitrogen balance (Ly et al., 2001). Rubber seed meal may contain up to 5-10% tiny shell particles that can damage the epithelial cells in the digestive tract of pigs. It is thus recommended to feed pigs with decorticated rubber seed meal (Duong Duy Dong, 2003). In layers, the optimal inclusion rate for processed or unprocessed rubber seed oil meals was 10%, higher levels resulted in a decrease in performance (Narahari et al., 1986b). Rubber seeds are reported to be lethal to geese, causing acute disorders in the digestive tract and lungs (Ojito et al., 1997). Rubber seed meal can be a valuable feedstuff for growing chickens provided that it has been processed to eliminate the antinutritional factors (Mmereole, 2008). It can be incorporated into poultry rations at levels between 10% and 15% for chicks and up to 25% for growers, but its use requires supplementation with sulphur-containing amino acids (Göhl, 1982). Undecorticated rubber seed meal is better tolerated in chicken than in pigs because they have a gizzard to grind and help to digest the shells (Duong Duy Dong, 2003). Decortication decreased crude fibre in the meal and thus enhanced the energy value (Narahari et al., 1984a). Feeding breeding hens with rubber seed meal was reported to cause poor egg hatchability (Fuller, 2004). However, it was possible to use rubber seed meal in laying hens with good results at a low feed cost (Ravindran, 1995). Rubber seed oil was found to be a good source of energy for growing chickens (Rajaguru, 1975).